Perspective view of a standard sediment fence. The size of your proposed development (lot-size or large scale) determines the type and extent of erosion and sediment control measures required to ensure your construction activities have a neutral or beneficial effect on water quality (NorBE). Bare soil around building sites can contaminate stormwater runoff, with pollution levels ten times higher than after construction. In the Sydney drinking water catchment, this runoff enters the local creeks and rivers that flow to our water supply dams. Landowners planning small-scale residential developments (less than 2,500 square metres) require an Erosion and Sediment Control Plan. This plan includes a range of standard erosion and sediment control measures. Larger developments (over 2,500 square metres) require a more detailed Soil and Water Management Plan. This plan may require special measures such as sediment basins and site stabilisation, depending on the site size and soil type. When calculating the total disturbed area of your development, you should include an extra 25% as a minimum to represent the disturbed area resulting from construction activity. The builder is usually responsible for constructing and maintaining erosion and sediment control measures. After rainfall and runoff events, it is important to check that these measures are performing properly. Always check with your local council for advice. For further information, refer to The Blue Book - Managing Urban Stormwater (MUS): Soils and Construction (Volume 1). A perspective view of a sedimentation basin. Large scale developments usually involve extensive earthworks which can expose clay subsoil and potentially result in large amounts of heavily contaminated runoff. To protect the Sydney drinking water catchment, developers and rural landowners planning large-scale developments (over 2,500 square metres) require a detailed Soil and Water Management Plan. The plan will include specialist measures such as temporary vegetation of topsoil stockpiles (site stabilisation) and basins to capture and treat runoff (sediment basins). Some measures used for sediment control during construction, such as sediment basins, may be converted to wetlands after construction, creating an attractive and desirable landscape feature. The construction company or a specialist environmental manager is usually responsible for constructing and maintaining erosion and sediment control measures. 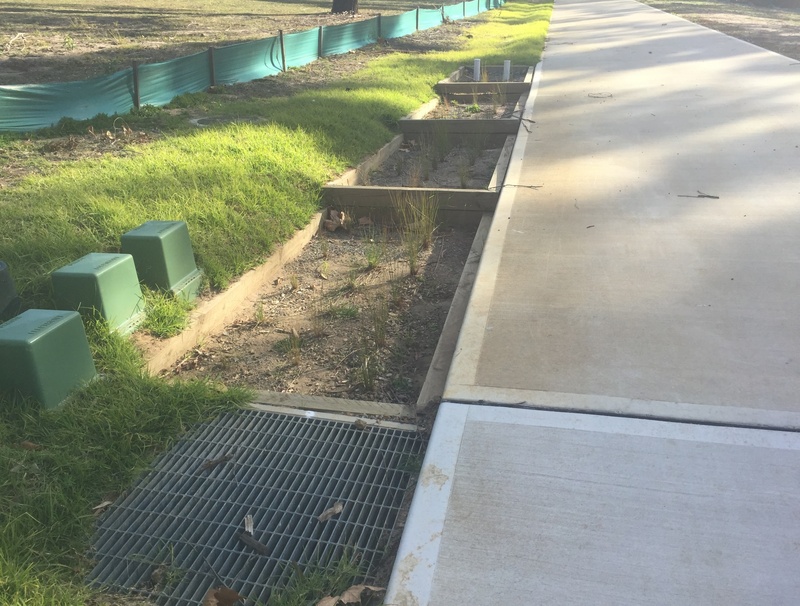 Given the extensive areas of bare earth in large scale developments, it is particularly important to monitor and maintain erosion and sediment control measures after rainfall and runoff events. Always check with your local council for advice. For further information, refer to The Blue Book - Managing Urban Stormwater (MUS): Soils and Construction (Volumes 1 and Volume 2). WaterNSW has developed this manual to assist consultants prepare MUSIC stormwater quality models to help achieve a neutral or beneficial effect on water quality for proposed urban and rural land use developments. See the climate zone key map for rainfall zones in your development area.